11:10 am – 11:20 am “Energy from Waste: Past and Future” by Gianluca Marcorelli, CEO, and David Molina, Chief Technical Operations, GET Energy Prime Italia. Mr. Samuel Eduardo Varas Guevara, a national of Chile, holds a bachelor’s degree in Industrial Engineering, and a Master of Science Degree in Engineering (Economy) from the University of Chile, Santiago, Chile, and a PhD in Information Technology from George Mason University, Virginia, USA. Mr Varas Guevara started his professional career in 1989 as Faculty Professor at the University of Chile, in Santiago, Chile until 2004. From 2005 to 2014 he worked as Professor and Academic Secretary at the Adolfo Ibañez University, in Santiago, Chile. During this time, he also provided Operations and IT consulting services to the government of Chile and to international companies and Organizations. Mr Varas Guevara is also the author of several books and publications in his areas of specialization. In 2015 he took up duties as Director of the IT Division of FAO (Food and Agriculture Organization of the UN). 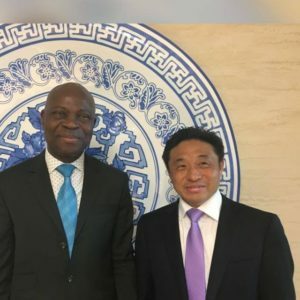 He has been leading the transformation of the IT Division, and the IT area in FAO, promoting a digital strategy and digital innovation in the Organization, including the use of new digital technologies in the food and agriculture sectors. Fabrizio Bresciani joined IFAD in 2014 as the Lead Regional Economist for the Asia and Pacific Division. His main areas of interest include rural development, food security, and land policy. With the World Bank he previously served as Senior Agricultural Economist in Indonesia (2011-2014) and as Rural Development Economist in the Philippines (2007-2011). Before joining the World Bank, he was at the Agricultural Development Economics Division of the Food and Agriculture Organization of the United Nations in Rome (2001-2007) and at the World Bank’s Development Economics Research Group (1998-2001). He holds a PhD in Agricultural and Natural Resource Economics from the University of Maryland, College Park, and a MSc in Environmental and Natural Resource Economics from the Universidad de Los Andes, Colombia. Dilva has a Master’s degree in Environmental Management with a major in Sustainable Development from the University of Queensland, Australia, as well as a Bachelor’s degree in Environmental Sciences from the Sapienza University in Rome, Italy. She has been working for the past 3 years as an Environment and Natural Resource Management Specialist for the Asia and Pacific Division of the International Fund for Agricultural Development (IFAD) based in Rome. Her work encompasses both project management and research to help respond to environmental challenges and climate change in the region, and has focussed on the agriculture-driven peat fire and haze crisis, affecting over 50 million people in the ASEAN region. This work gave her the inspiration for her PhD project on the Assessment of the restoration of Southeast Asian peatlands, that she is currently undergoing with the Sapienza University in Rome in collaboration with the University of Queensland. Before that, Dilva worked as the Technical and Scientific Officer at the University of Queensland’s School of Agriculture and Food Sciences after graduating from her Master’s, and then moved to Jakarta, Indonesia, to work at the United Nations’ Office for REDD+ Coordination in Indonesia (UNORCID) as a Research Associate. 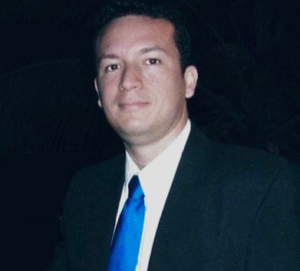 Originally from the Island of San Andres, in the northwestern Caribbean sea of Colombia, David Molina has dedicated his professional life to innovative projects in different branches of technology, challenging himself every time to get the best result. Passionate musician and nature lover, he has been contributing with his knowledge and persistence in the last years, to the development and improvement of new ideas in the field of renewable energies. 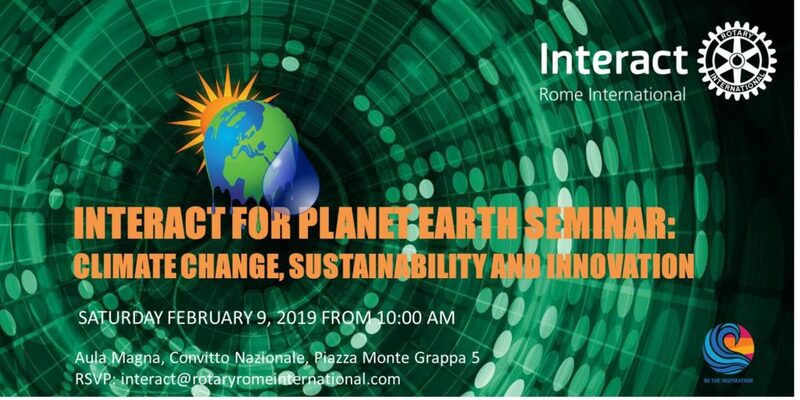 “Get Energy Prime Italia is a company that, since 1996, operates in the field of research, design, and development of solutions to process materials deriving from different kind of waste, which represents one of the most serious ecological problems of our days. 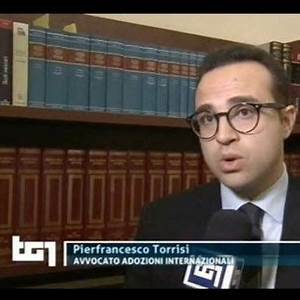 Pierfrancesco Torrisi, 36 yrs old, Vice president of Global Action, lawyer expert in International Adoptions, Family Law and Insurance. He is also a Legal Consultant for companies managed by the Ministry of Agriculture. He was researcher of Chinese Law – Company Internationalization in China; he was Judge for Court of Appel – Sports Law and Prosecutor for the Italian Ministry of Agriculture – Sports Law. He is very sensitive to the GBV and Sdgs and he is currently organizing, for Fondazione De Gasperi, 4 different conferences related to Energy, Food, Health and Education. After graduating in English Literature at Cambridge University, John came to Italy in 1980 where he majored in Economics at the Faculty of Political Science, Bologna University and collaborated with Prometeia and Nomisma, two economic research centres. In 1987 he was assistant editor of the “Agro-Technological System Towards 2000” following the international conference in Bologna organised by Nomisma and BNL. During the nineties, John covered the Italian energy sector on the Milan stock market as an equity analyst, including the privatisation of ENI, for a number of Italian banking SIMs. Following a brief spell as head of corporate finance and investor relations for Beghelli, an emergency and energy saving electronic lighting company, John came to Rome in 2001 to set up and lead the investor relations department of Finmeccanica/Leonardo, Italy’s largest industrial group, privatised in 2000 by the Italian government. In 2010, he initiated the group’s inclusion for the first time in the Dow Sustainability Index (World and Europe). 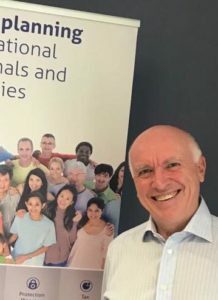 Since 2015, John has been head of business development for Unity Financial Partners, an independent financial advisory firm specialising in international clients working and living in Italy. Unity is an accredited financial advisor to FAO and has recently launched an pension fund for UN Staff and Consultants with a unique range of sustainable funds managed by leading international private banks in the field of SRI (socially responsible investments).